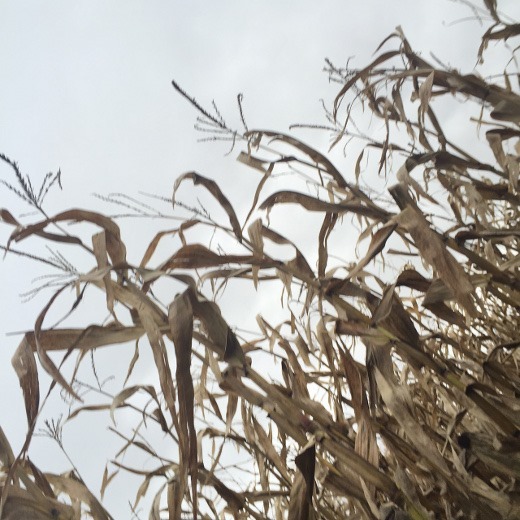 Talladay Farms offers two traditional corn mazes as well as a haunted corn maze. 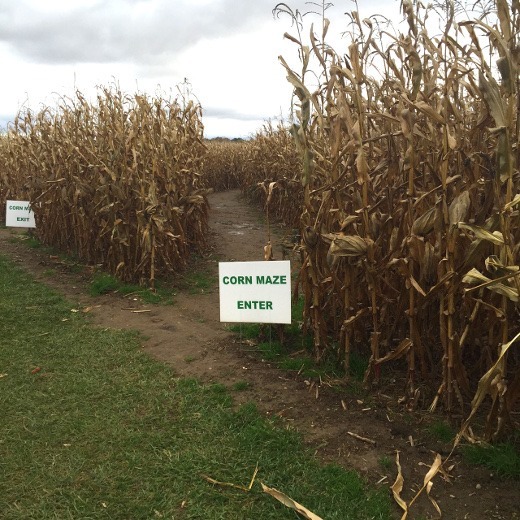 Today we took part in the traditional corn maze. 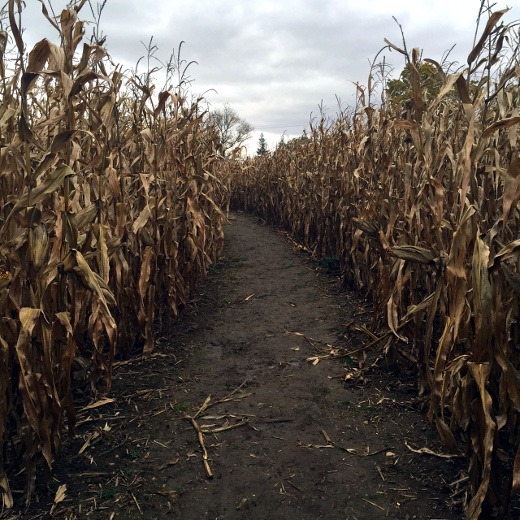 This was actually the very first corn maze I’ve ever been to. Despite quite literally growing up next to a corn field. Fun fact: The huz used to volunteer at a corn maze as a teen and helped lost maze-goers find their way out of the maze. I just learned this fact within the last 6 months. I love that we are still learning new things about each other even after having been together for nine and a half years. Next door to Talladay Farms is Wasem Fruit Farms. 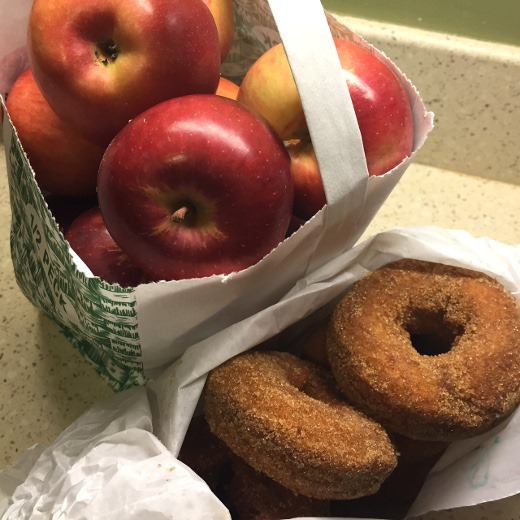 We weren’t dressed warmly enough to venture out and pick our own apples, but we still braved the long line for apples and fresh donuts. I am a big fan of Empire Apples and we bought a 1/2 peck. What should I make with them? I was thinking maybe some apple muffins, or an apple crostata that I saw on The Kitchen, or most likely, we will just eat them straight up! I actually am a big fan of fall but the season is so short! Can we just have an extra-long fall, skip winter, and jump straight to spring!? What a coincidence! 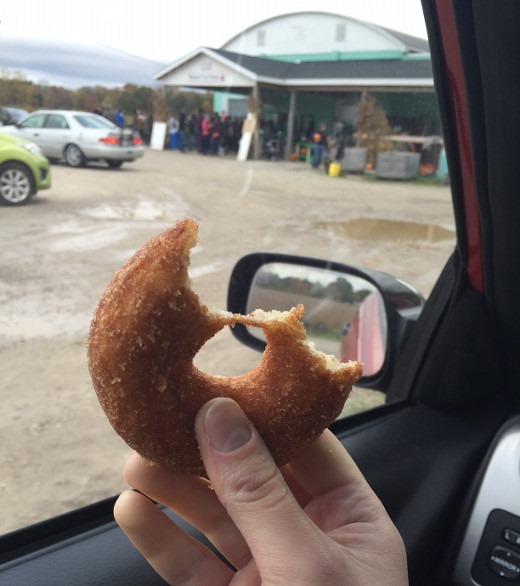 I can’t decided between the sugared plain and the pumpkin! Sounds like a fun day ! You used to make Apple Betty as a kid and it was always a hit ! I think you have that cookbook of apple recipes from elementary school. Mmm Mmm I love that Apple Betty recipe too! The apple muffin recipe I had in mind was from that very cookbook as well! MI apples are the best! I cut an apple and add cinnamon and heat in microwave. I envy you. What a great day!